MEAL PREP! It sounds exhausting, doesn’t it? So, I like to keep it really basic. Like, really basic. I’ve learned that, to make actions a habit, keep them as simple as possible, in order to reduce the obstacles that keep them from being a reality. They might not be ideal, but they will be REAL. Which, in my opinion, is so much better than those energizing habits staying “ideas” or “shoulda/coulda/woulda” realm. 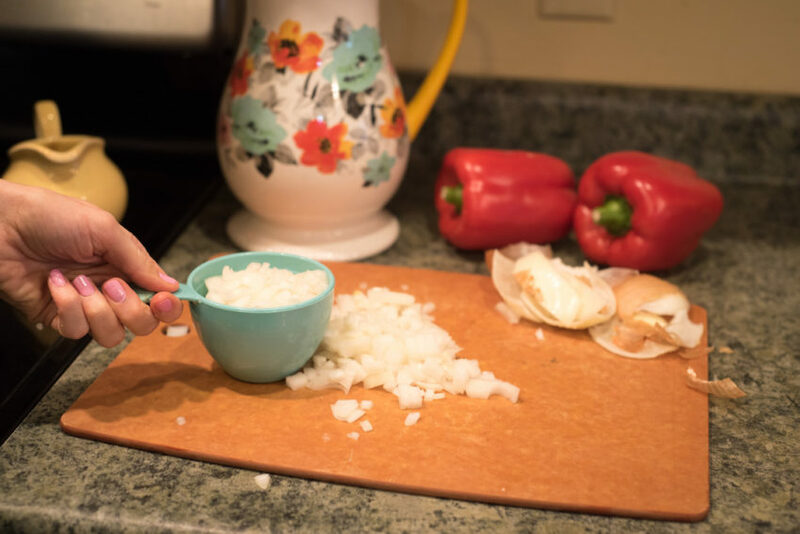 What I have been encouraging my patients, clients, and friends to do is to simply have a protein prepped for a number of different meals during the week. Then pair it with as many plants as possible throughout the week. 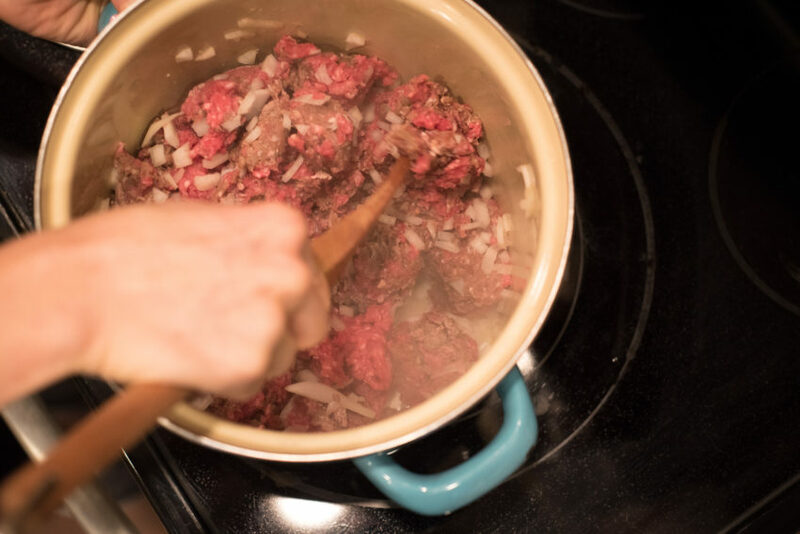 For this one, It’s not like it takes terribly long to cook ground beef, but once you have it prepared and seasoned, meals come together SO quickly! ….whether for a family or just for yourself. …and 1 teaspoon kosher salt or sea salt. We want to season it lightly, not full force, that way we can control the flavor in whatever we use it in throughout the week. And gently fold over medium heat! Depending on the size of pot you use, this will take about 20 minutes…. Once it’s done, let it cool and put it in storing containers. I store it 2 cups in each container (like freezer jars from Ball Jars), and I put 1 jar in the freezer, and the other 2 in the refrigerator for lunches and dinners that week. 1. Heat a 6 quart pot over medium high heat. 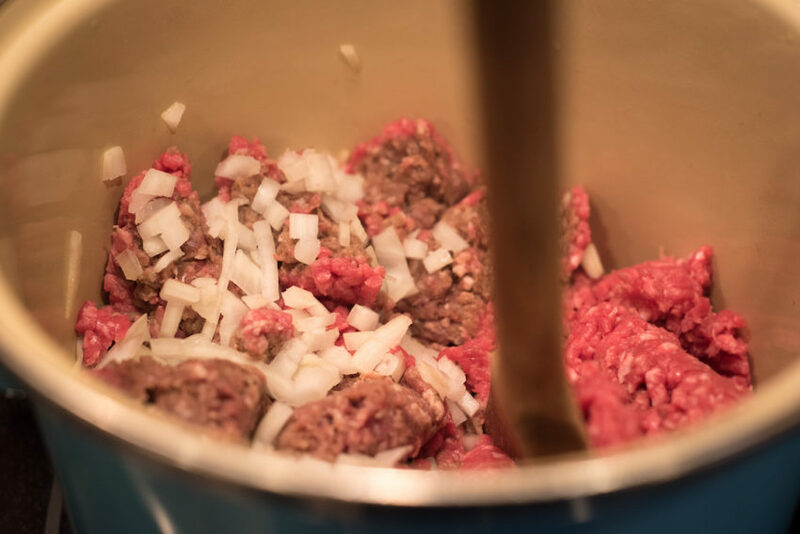 Add ground beef, onion, and salt. Let cook 10 minutes. 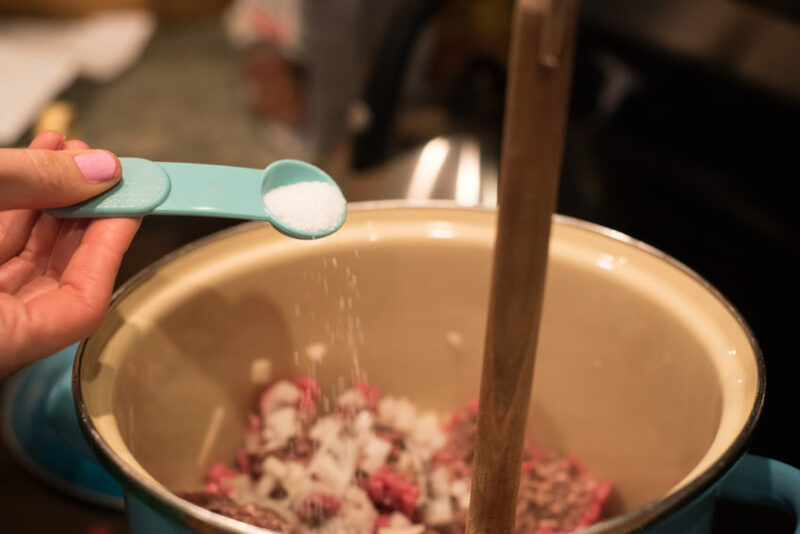 Stir gently, breaking larger pieces into smaller pieces with the back of the spoon. 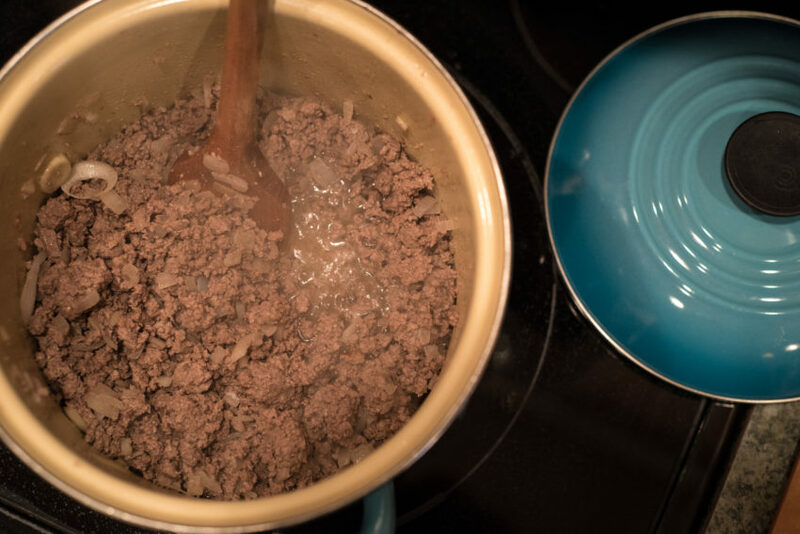 Let cook additional 10 minutes or until ground beef is no longer pink. 2. Remove from heat and drain excess fat. Cool and portion for storing. – Don’t overwork the ground beef! Stirring or mixing too much makes the protein a lot tougher. – Uncooked ground beef can be stored up to 2 days in the refrigerator before cooking. Use it or lose it! 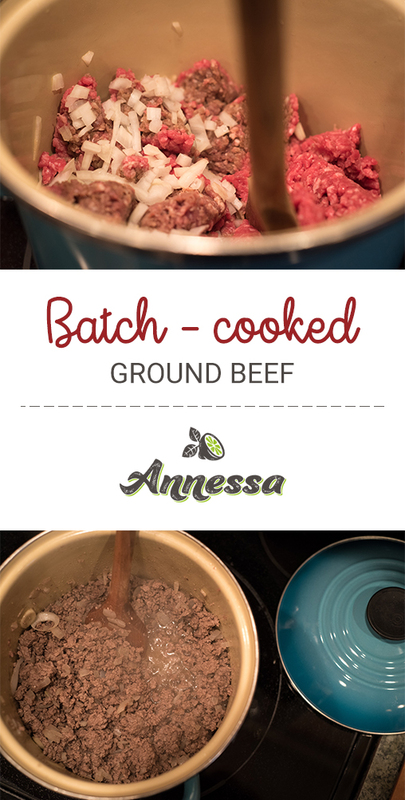 Where are the 5 recipes you use the Batch-Cooked Ground Beef? Nancy, the five are: Weight Loss Italian Beef Soup, Stroganoff Stuffed Portobellos, Easy Cheesy Spaghetti Squash, Korean Beef & Veggie Bowl, and Protein Cabbage Wraps. I will link them for you here…. ;) The Korean Beef has not been posted yet but will be tomorrow. I have also been making them all on video on my Facebook page – just FYI:) Let me know if you have anymore questions!